With an adaptable layout and designed to be used either as a luxurious day boat or superyacht tender, the new Spirit Yachts’ P40 is made with ultimate flexibility in mind. Spirit Yachts has released new photos of its P40 to Boat International, see the sophisticated superyacht tender here first. 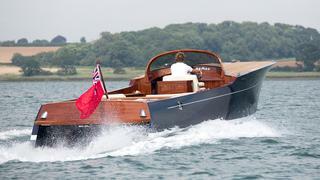 The UK yacht designer and builder specialises in classically inspired wooden sail and motor yachts from 11 to 30 metres, and at 12.3 metres LOA the new P40 superyacht tender fits in well at the start of the lineup. The Spirit P40 features classic lines with modern comforts and performance. The interior is fully air conditioned and has a bathroom with separate shower. Ideal for overnights or cat naps, the open-plan cabin hosts a forward double berth, and the deck saloon can be converted into additional sleeping accommodations. Dining space is also found down below along with a fully outfitted galley. 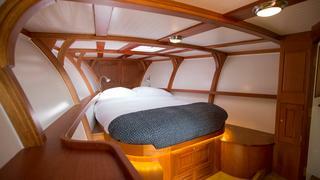 Strong yet lightweight, Spirit Yachts are hand-built in wood epoxy construction. The Spirit P40 will displace only 4.5 tonnes. Powered by twin Yanmar 260hp inboard engines, she hits a maximum speed of 36 knots and cruises at 29 knots. Four half-moon venture chines in her hull design will give an extra cushion of air and help reduce drag. The Spirit P40 will be making waves along the South of France when it debuts at the Cannes and Monaco Yacht Shows this September. 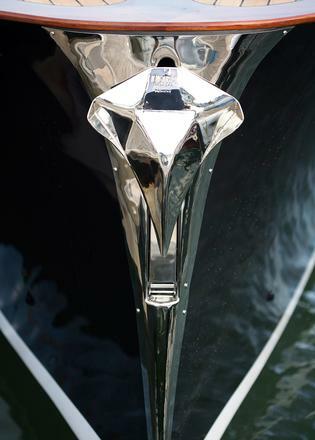 To schedule a test drive, contact nigel@spirityachts.com.